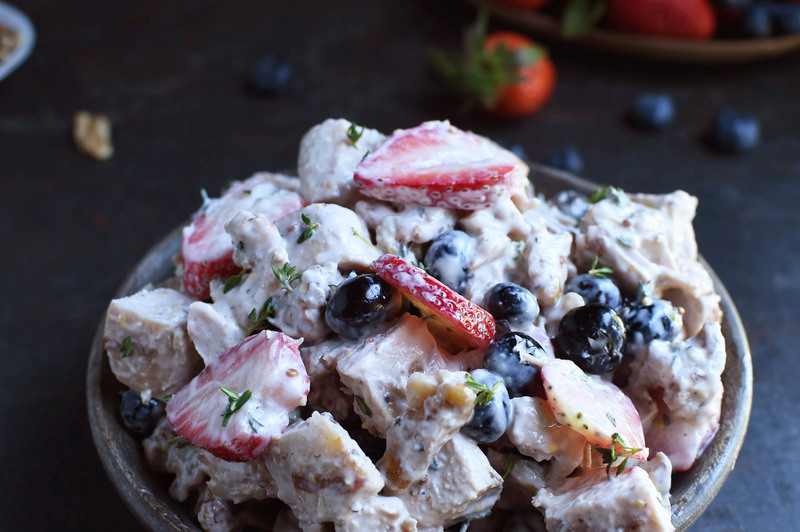 This Nut and Berry Chicken Salad recipe is perfect for a summer picnic. The red, white, and blue colors make it perfect for Memorial day and July 4th. 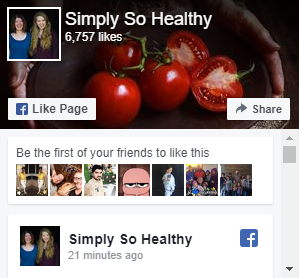 This recipe can work for low-carb, ketogenic, diabetic, Atkins, and Banting diets. 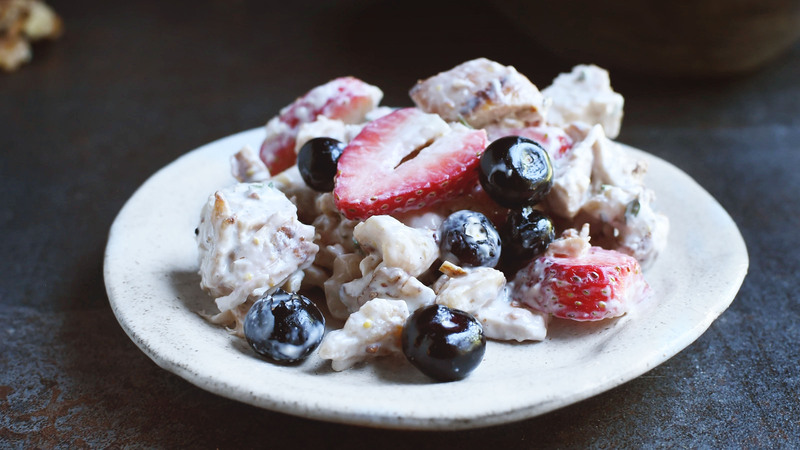 Our Nut and Berry Chicken Salad was loosely inspired by Waldorf salad. 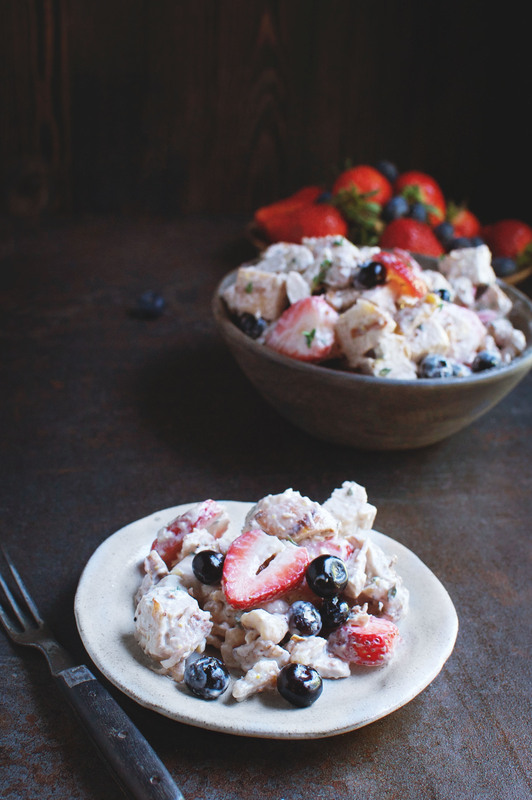 I’ve always loved Waldorf salad because of the combination of the crunch of walnuts and the sweet flavor of fruit. I decided to add those components to a savory chicken salad. In this recipe, the chicken is rubbed with a mixture of melted butter, thyme, garlic, and a bit of whole grain dijon, then sprinkled it with salt and pepper before grilling. After the chicken is grilled, it is cut into chunks. These tender morsels of chicken are then enveloped in a creamy dressing with a touch of lemon and thyme. 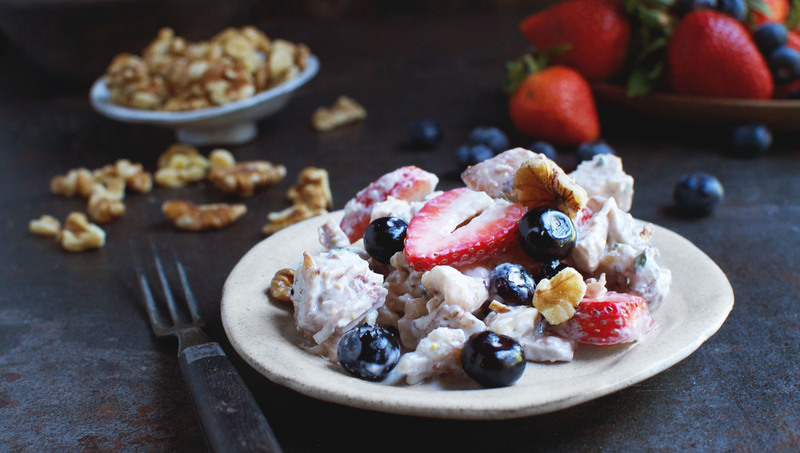 Blueberries and strawberries add sweetness to the salad, and walnuts add some crunch. A sprinkle of red onion gives a touch of pizzaz. The result makes an easy to love summer salad. I love the colors in this salad. 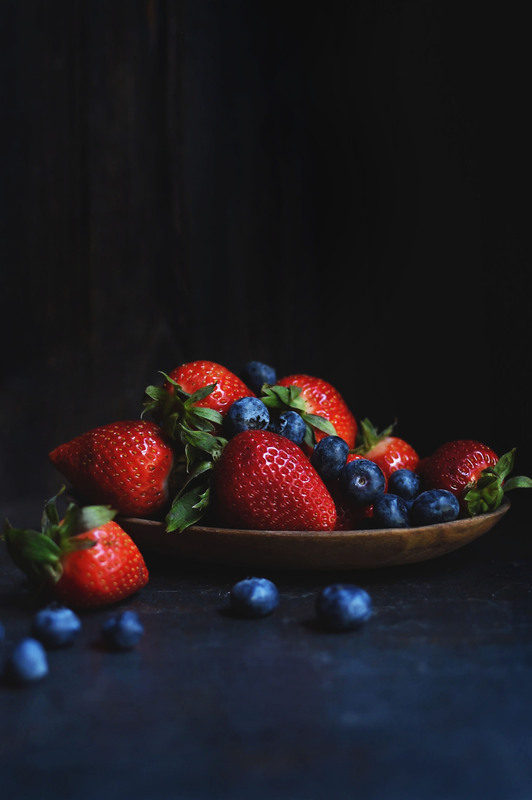 The red of the strawberries and blue of the blueberries make this salad perfect to serve on Memorial day or July 4th. It’s also easily packable, so it works well for picnics. 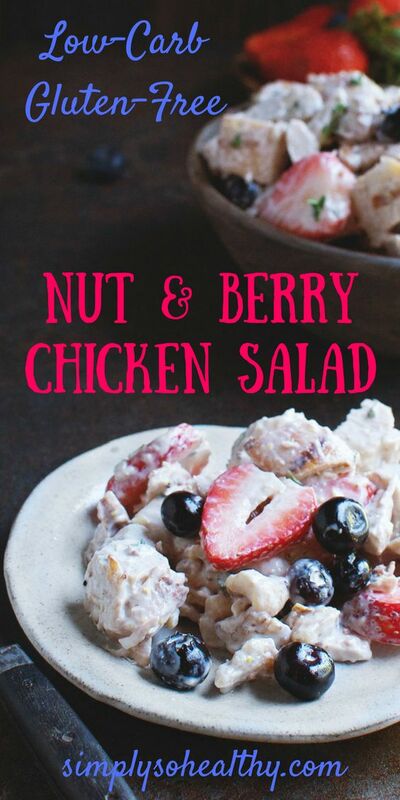 Serve this Nut and Berry Chicken Salad on top of a green salad, wrapped in a tortilla, or tucked in a lettuce leaf for a delicious lunch or a light dinner. Preheat the grill or a broiler to high heat. In a small bowl, stir together the butter, mustard, garlic, and thyme. Rub this mixture on the chicken breasts. Sprinkle the chicken lightly on both sides with salt and pepper. Place chicken on the preheated grill. Turn grill to low and close the lid. Grill chicken for 7-10 minutes, then turn and close grill again. Grill on the second side for 5-7 minutes or until chicken is cooked through. Remove chicken from grill and allow to cool. When cool, cut into 1/2 inch cubes. While chicken is cooling, mix together the lemon juice, granulated sweetener, mayonnaise, sour cream, mustard, and thyme. Stir in the red onion, diced chicken, strawberries, blueberries and walnuts.